Well, you're pushing a tapered shell through a ring of a specific diameter - of course it'll size it (as much of the length you push through it) to the same diameter. I certainly understood that. I was afraid that not full length sizing on an auto loading pistol would lead to chambering troubles. I just about bought a steel sizing die to try it and see if there was any difference in accuracy. I just dreaded the though of lubing cases as small as 9mm. I think that is the German spelling. My Hornady dies see fine. I don't notice any difference from my other Lee and RCBS for other calibers. Carbide dies are over rated. 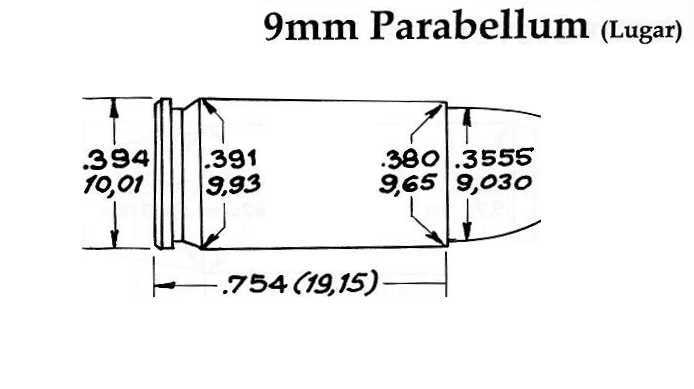 My pistol calibers are "carbide", but, I still use a push-through die (like the Redding one) for 40s&w and 45acp so the level of effort for sizing stage on the progressive is much less. I do lube all my "rimless" cases, as dealing with case-head separation in sizing die is one of my worst nightmares. I've gotten a stuck shell out of a .223 Lee die, but, it was not fun. For case forming, I find Lee lube to be 100% reliable but an absolute mess (hence the need for tumbling with ss pins). But, I only deal with it when working with CDM brass and reforming 30-06 into 300SAV. I still tumble with stainless steel pins and then crushed walnut w/flitz to get them factory fresh before loading. Is that the whitish Lee "Alox" lube or something else? I've used the stuff for 30 years; it's water-soluble, so I just swish them around in a bucket of warm water and spread them out to dry. I have used the Lee lube for years and it is my favorite. It is water soluble and wipes right off. Imperial Die Wax is great stuff for hard to size cases but hard to remove. I recently formed 500 .357 AMP cases using Imperial Sizing Wax. I was too lazy to clean them by hand, so I tossed them in a couple of mesh laundry bags then ‘volunteered to do the dishes’. When my wife wasn’t looking I tossed them in the dishwasher along with the dishes, and they came out completely devoid of lube. Then I sat them in the sun on 100-degree days for a couple of days, and all residual moisture evaporated away. Using a RCBS die and new Starline brass I necked all my 357 AMP down with the Lee white sizing lube with no problems. I am not sure it would work with other brass, especially the ones cut down and reamed.